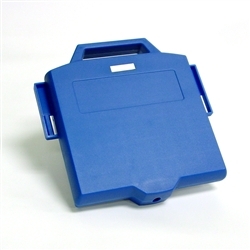 Compatible Pitney Bowes® 765-3 ink cartridge for DM200i, DM300i, DM300L, DM400i, DM400L , 1P00. postage machines. Fluorescent red meets or exceeds USPS guidelines. Up to 8,000 impressions without ad; Up to 4,000 impressions with ad.